Is the bridge a lie? Using the controller to select a type of bridge or support is easy and seamlessly done, while the tutorial does well to explain the fundamentals on building them. Having said that, it’s still incredibly complex and the layout of the chambers does little to help. It starts out fairly simple but by the first few chambers, it’s just complicated beyond belief and only true geniuses will figure it out. It’s great to hear Ellen McLain reprise her role as GLaDOS since her appearance in Lego Dimensions and makes me pine for Portal 3, even though I doubt it’ll happen…a man can dream! The sound effects are also mostly taken from Portal for that nostalgia feel. Visually, the game is simple but has that sterile office vibe that Portal is known for and it runs at a solid framerate. 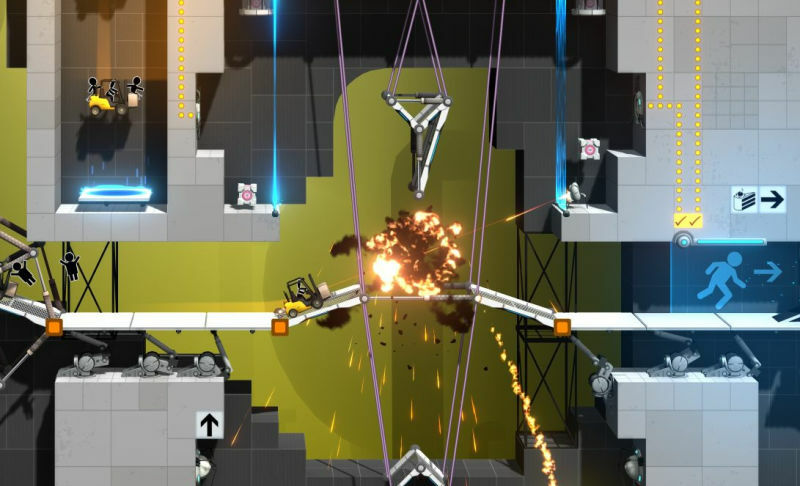 Bridge Constructor Portal merges two franchises that I never thought would work together, but it does and it does well. 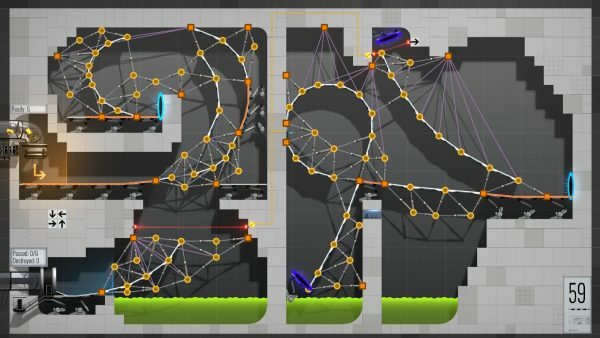 It may not sway those of you who aren’t fans of Bridge Constructor, but it’s well worth a look just for the Portal references alone.